Congratulations to Gloc 9 and Noel Cabangon for bagging the most number of awards at the recently concluded 23rd Awit Awards held at Centerstage in Mall of Asia last September 30, 2010. You guys well deserve your awards. I'll be posting the entire list of winners soon. Noel Cabangon won several awards for his album entitled "Byahe" while Gloc 9 won several awards for his song "Upuan" featuring Jeazell Grutas of Zelle. In his acceptance speech for Song of The Year, he gave thanks to everyone who supported and believed in his talent with a special mention to FrancisM, who he has always considered his idol. 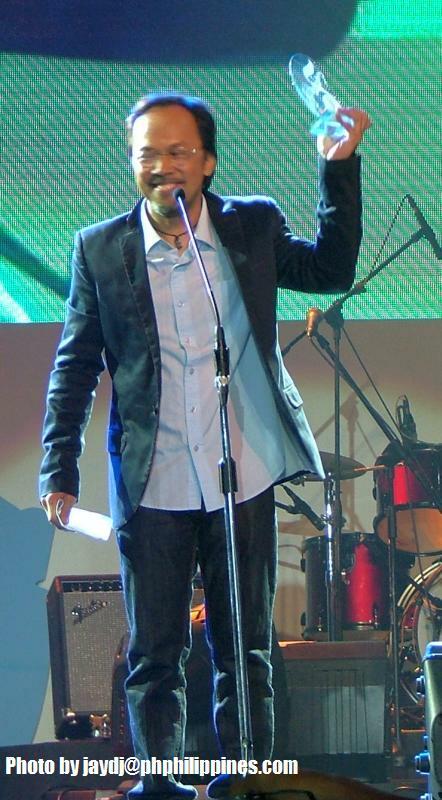 Gloc 9 performed this Song of The Year winner "Upuan" as the finale along with Yeng Constantino and Aiza Seguera. Over 41 awards in technical & performance categories were given away. In addition, a new set of awards were given for artist and songs with the most online and mobile downloads. Other winners included Charice Pempengco, Sarah Geronimo, Bugoy Drilon, SinoSikat, Joung JV, Rhap Salazar, Kris Lawrence, Yeng Constantino, Toni Gonzaga, Franco, Jaya and Piolo Pascual. As always, superb musical numbers were performed as the great talents from the music industry collaborated and jammed together. Ogie Alcasid teamed up with Gloc 9, Kean of Callalily, Ney of 6cyclemind & Tutti of Soapdish in a patriotic musical number that started out as a ballad and turned into a rock-rap tune. Acoustic sensations Princess, Sabrina, Top Suzara, Toto Sorioso, Aiza Seguera teamed up with harpist/singer/songwriter Noelle Cassandra in a medley of OPM songs. Other musical numbers included Aria Clemente, Sam Concepcion, SinoSikat, General Luna, Skabeche, Six Part Invention and more. Congratulations to all the winners ! Mabuhay ang OPM ! 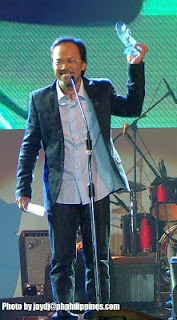 Here is Gloc 9's awward winning song "Upuan". I'm happy that Noel Cabangon topped the Awit Awards. I'm a fan of Noel Cabangon since I saw his name from Conrado De Quiros's book "Flowers from the Rubble." 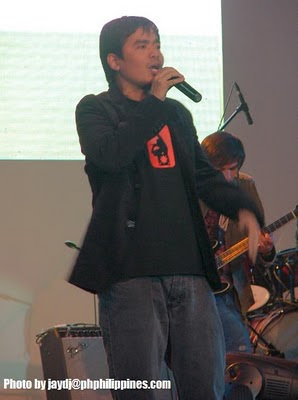 Cabangon is also the composer of Bamboo's rendition of Tatsulok that many people don't know about.